More than 400 people participated in the XXXVIII version of Concapan, the annual convention of the IEEE community of Central America and Panama, held in El Salvador on November 7th, 8th and 9th. In this framework, the Solar Energy Forum was held, with the plenary session “Learning Stories in Solar Energy Projects in Latin American Communities”, moderated by the SERC Chile director, Rodrigo Palma, and in which the anthropologist Andrés Marconi was presented, member of the Ayllu Solar Communities team. This meeting had six panelists from different countries in Latin America and 45 attendees, with an agenda to discuss and analyze the challenges imposed by the integration of solar solutions in Latin America, from a technical, environmental and social point of view, as well as from the scope of development promotion at the community level. One of the most important conclusions of the forum is that in Latin America there is operational capacity and development of solar energy, but that, in relation to communities, there are barriers to eliminate. The conclusion in this regard is that work should be done in the management of expectations, the financing model and in the commitment of the communities in the operation and maintenance of the process of implementing solar technology solutions. Oscar Núñez Mata, a professor at the University of Costa Rica and member of the organizing committee of the plenary session, is also the coordinator of the Solar Community R9, a virtual network of volunteers who exchange ideas and experiences around solar energy. Here, some members of SERC Chile participate alongside affiliates of the IEEE and related institutions. Oscar Núñez believes that within the framework of Concapan 2018, a new impetus has been generated for this Solar Community and he announces that in 2019 the emphasis will be on consolidating it. In fact, participation in the network will be promoted in the next meeting of the R9 region of the IEEE, which will be held in Puebla, Mexico, in March 2019. 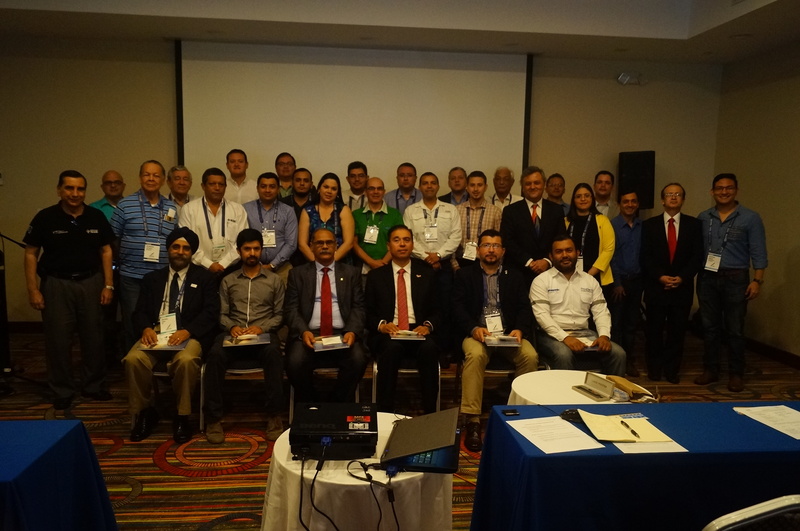 The invitation was extended by Teófilo Ramos, regional director of the IEEE R9, who participated in the Solar Energy Forum.